I've another gorgeous holographic nail polish from Born Pretty Store called White Motion. I applied 2 coats of White Motion and topped with 1 coat of top coat. In the sunshine the holographic particles are dazzling. Comes in a dinky 6ml bottle. Check out my YouTube clip at the bottom. The White Motion Holographic Nail Polish is currently $3.59 / £2.71 / €3.07. 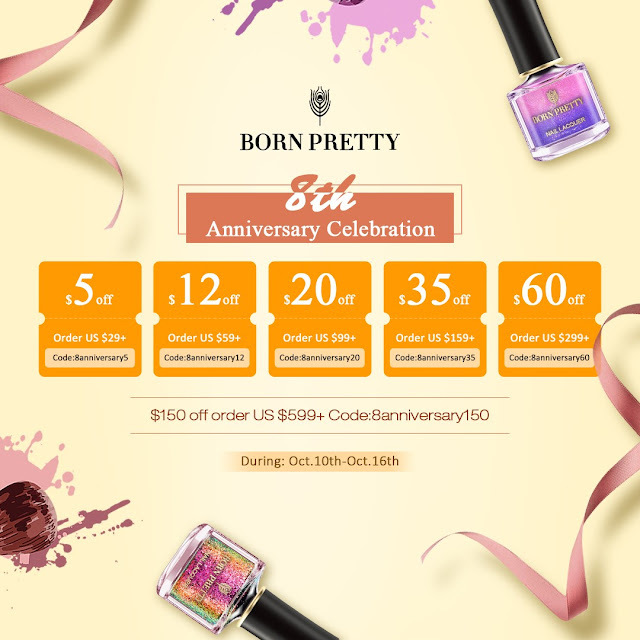 You can also use my coupon code HXBQ10 which gets you a free gift during Born Pretty Stores 8th Anniversary from 10th to 16th October, please mention the coupon code with your order. 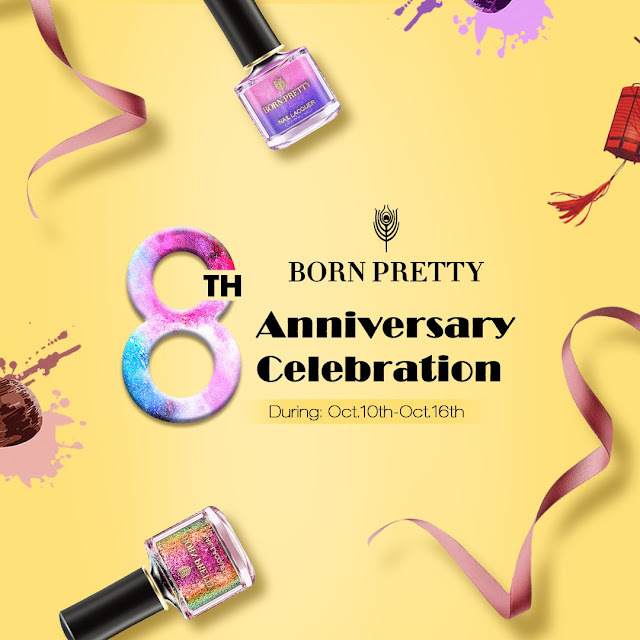 Check out the Born Pretty Store website for loads of cool nail art goodies.